We opened gifts and had dinner last night so today was very casual. First I installed a new dish washer. Then went under to house to pull a failed sump pump. Household chores done I went to the shop to do some brake work on the 931. I siphoned off the brake fluid in the reservoir, clamped off the clutch supply hose and pulled that off the master cylinder. 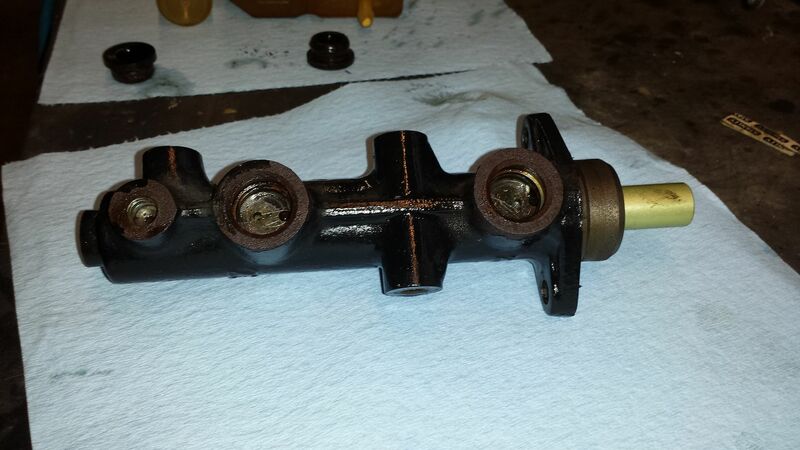 There was quite a bit of junk in the reservoir so I sprayed that out real good with brake cleaner. 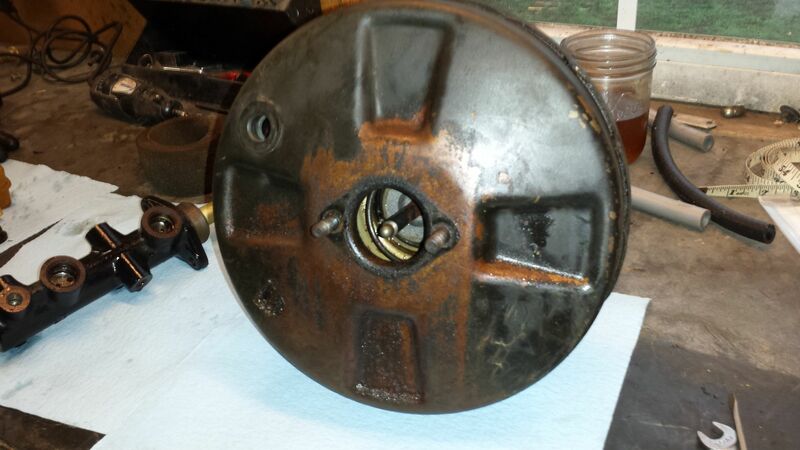 Then I pulled the hard lines off the MC and it had some rust so I cleaned it up. I've got a MC rebuild kit on order so I set that aside. 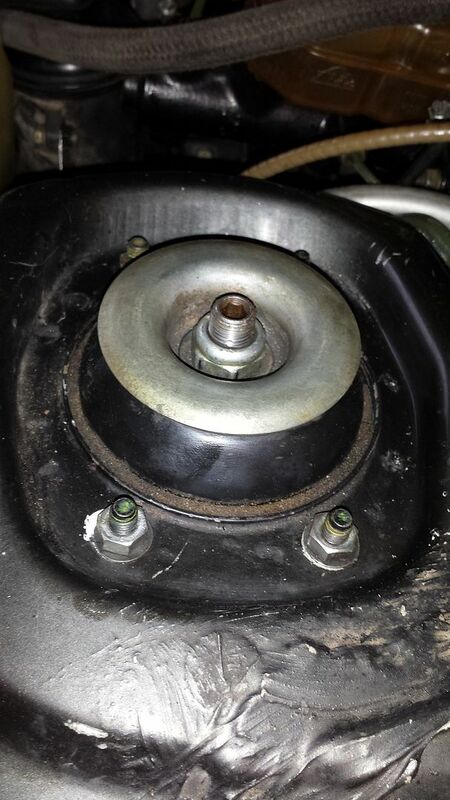 Then I'm on my back in the floor board removing the nuts to get the brake booster off. It's a tight squeeze wrestling the booster out of the engine bay but I finally get that on the bench. 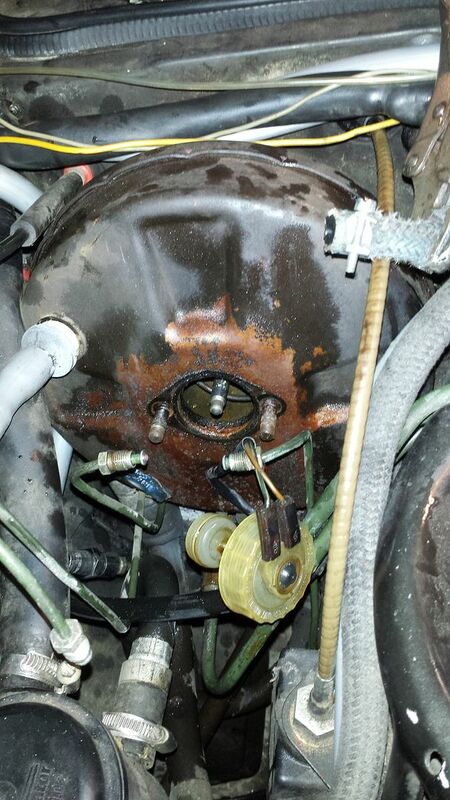 there's quite a bit of brake fluid in the bottom of the booster so the seals on the MC were failing. Now is a great time to replace the breather hose from the crank case to the AOS. It's still a challenge to get to the clamp and it's turned in THE WORST possible position to get the clamp loose. I basically ripped the hose out, got one very painful turn on the clamp and then wiggled it off the pipe in the block. When I replace that hose there will be a clamp on there that you can get to. You can bet on that! 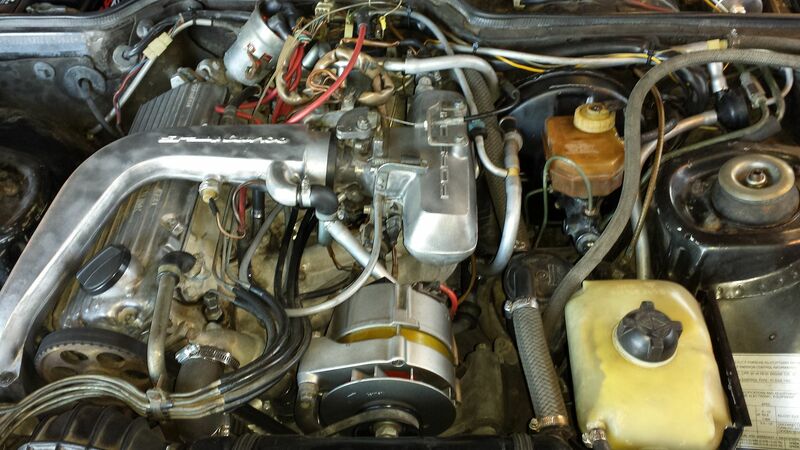 When I get the replacement hose and MC kit, I'll put all this back together. Han. . .you're dead to me. I read the 914 posts first, excellent reading. Now this, can't wait to see how this ends up. You're too kind sir. I try to keep the posts interesting and beyond "first I did this and then I did this". Putting a little emotion in there helps but nobody wants too much drama. 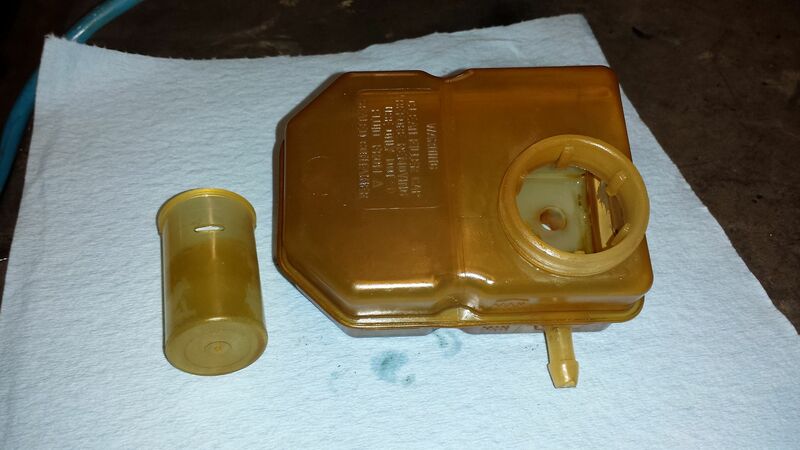 I had the same issue with the master cylinder rebuild kit having different Pistons. Seeing as the rebuild kit was £60 and a new MC was £100 I returned the kit and bought the new MC. Do you know if the MC is the same as early 944 or 924S? No idea. I believe they are different because of the brake light switches. Could be wrong. +1 on the new MC. I found a smokin' deal on front Koni struts, rear Koni shocks and rear sway bar with bushings and hardware. The rear bar is 18 mm. I got those parts in yesterday evening and this evening I started taking a close look. The part numbers on the Konis match up with a 944 M474 package. The seller said they came off a '86 951 with 38,000 miles. 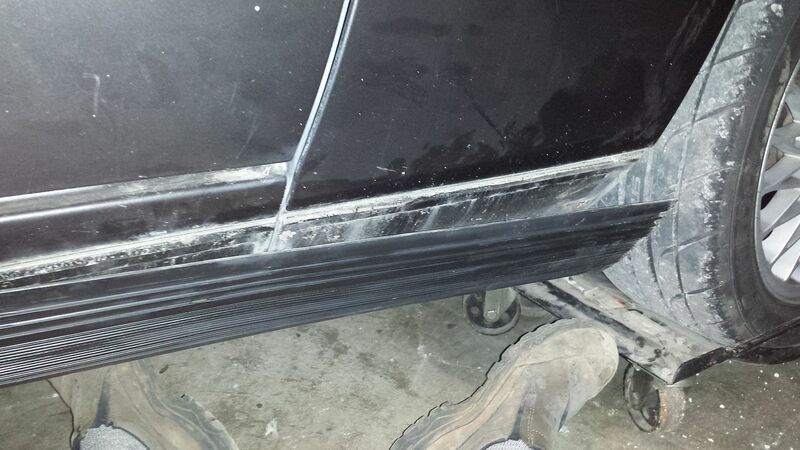 Now remember that this 931 shipped without a rear sway bar so getting all the attaching hardware was huge. 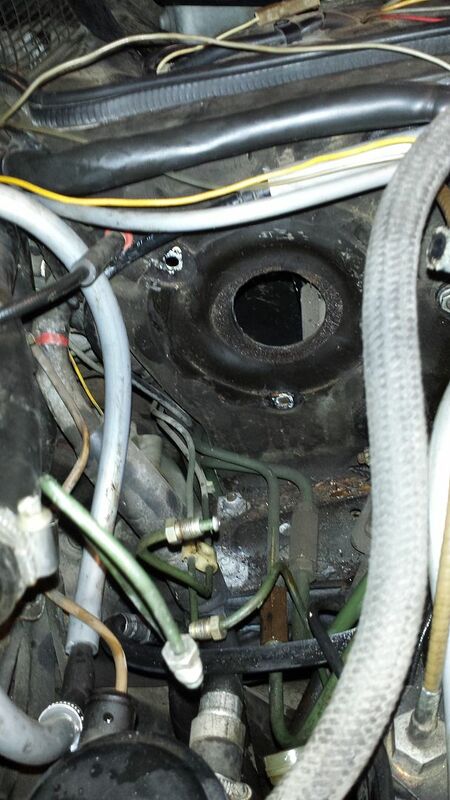 However, when I crawled under the car and looked - I'm not finding bolt holes for the brackets. I'm going to search for some photos that show exactly how the drop links and bar are orientated (yes, I did get the dual ended eccentric bolts). 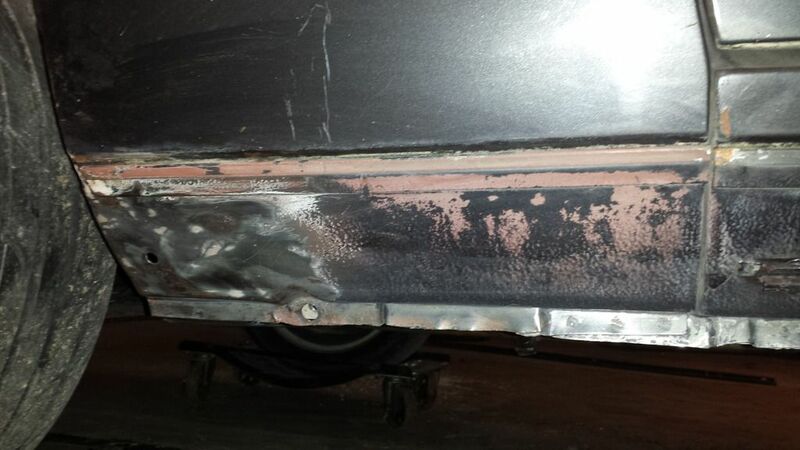 That bar was also a bit scratched, flaky so I wire brushed it down to bare metal, primed and painted it. 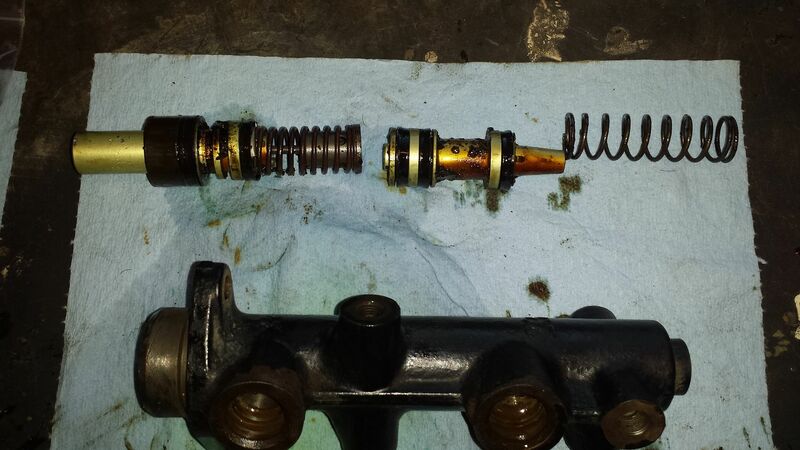 Then I'm looking at the rear shocks and the bump stops are toasted so out those come. I also set them medium soft with compression and rebound feeling nice. The seller warned me that the struts wouldn't fit the early style front spindles and I confirmed that. The camber eccentric is 1/4" further from the lower mount bolt on the late struts compared to early struts. 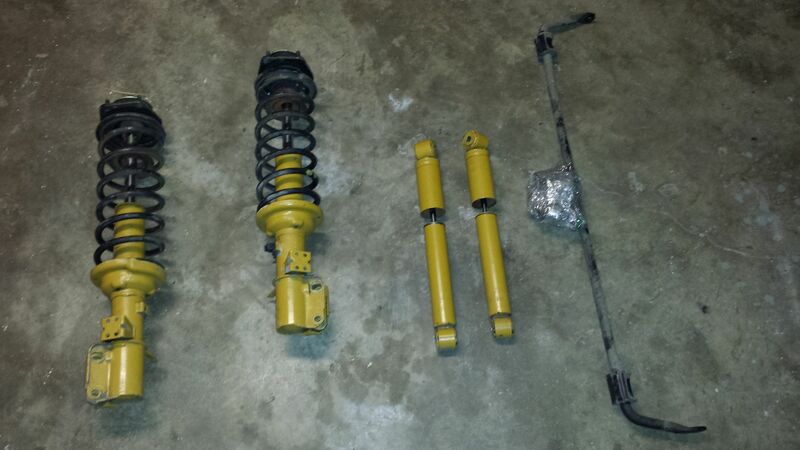 No worries, I'll simply unmount the OE struts, pull the shot shock inserts, paint the tubes Koni yellow and re-build with the M474 springs and Koni inserts. Probably use the 951 top mount too if they'll fit. Suspension work is mostly cake. 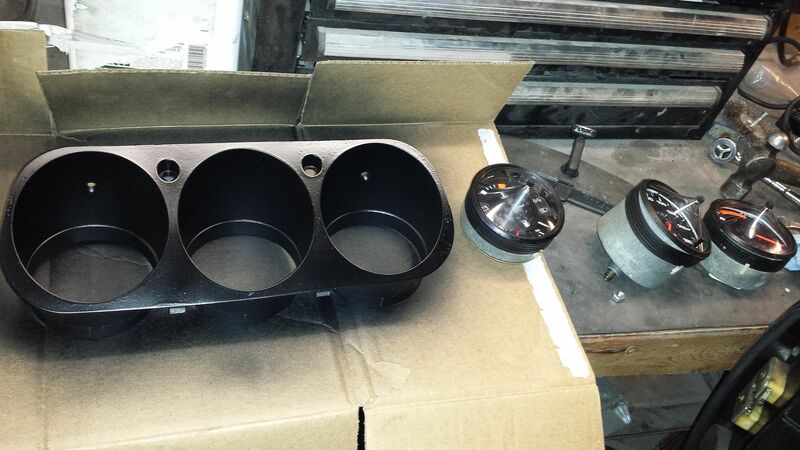 Find a S2 931 or 944 rear carrier that has the mounts and swap carriers. (I went this route on the '82 because I was upgrading the torsion bars and had to pull the carrier anyway). You could also cut the mounts off a donor carrier and weld them to yours. 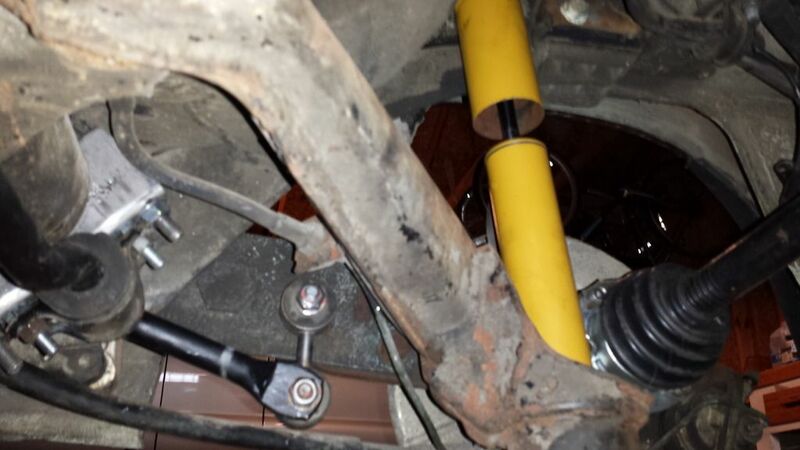 Or check out this thread: How to Install a Rear Sway Bar on a 924 without one. The thread outlines how to install a bar without the mounts. A few pages in, it also discusses purchasing new factory 944 mounts and welding them on. Thanks Jazz Guy. I found that thread this morning and I'll be picking up some 3.5" exhaust clamps today. That's a quick, economical solution. Well, not quite all day but all morning for sure. 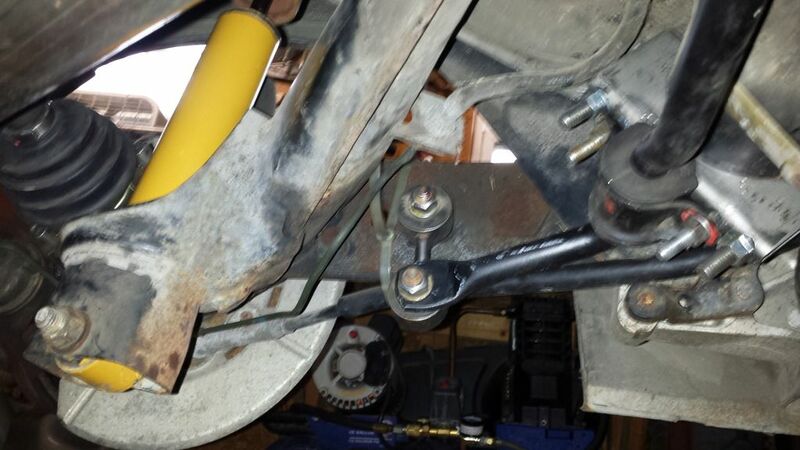 I had painted the rear sway bar a couple nights before and picked up the 3.5" clamps yesterday after work. So when I got up this morning I had everything I needed to get the rear suspension squared away. First I squeezed the clamps under the floor board and around the torsion carrier. That took a little hammering and prying as it's pretty tight under there. 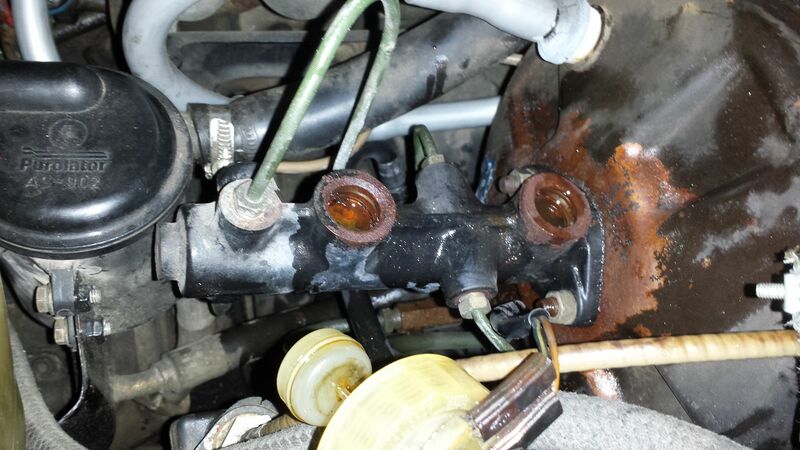 Then I marked and drilled the clamp closing bracket for the bolts joining the sway bar bracket. I used some 10 x 30 mm bolts and found the 13 mm heads were a tight fit in those clamp brackets. I spread that open a bit and pounded the bolts in and then used the 13 mm nuts to pull them tight. 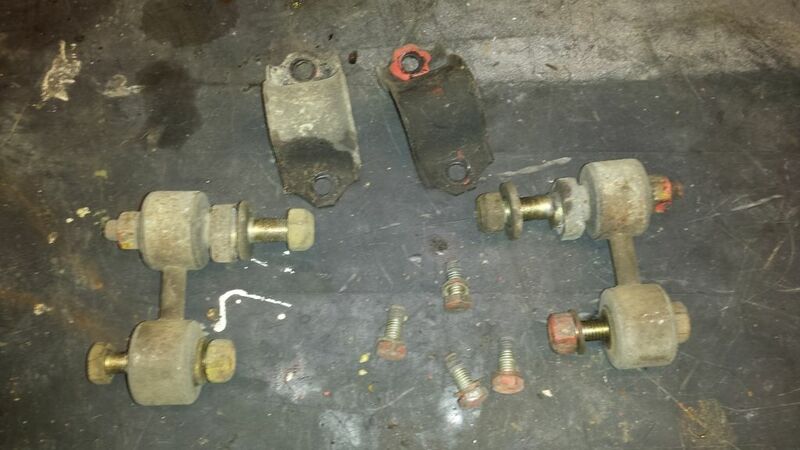 In fact I left those nuts under the sway bar brackets when I placed the bar over the exhaust, slid on the bushings and bolted the brackets down with another set of 13 mm nuts. Then I used my impact wrench to pull the one sided camber adjust bolts and put in the two sided ones that came with the sway bar. On goes the drop links and everything is tightened up nicely. Now on to the rear shocks which are very simple. 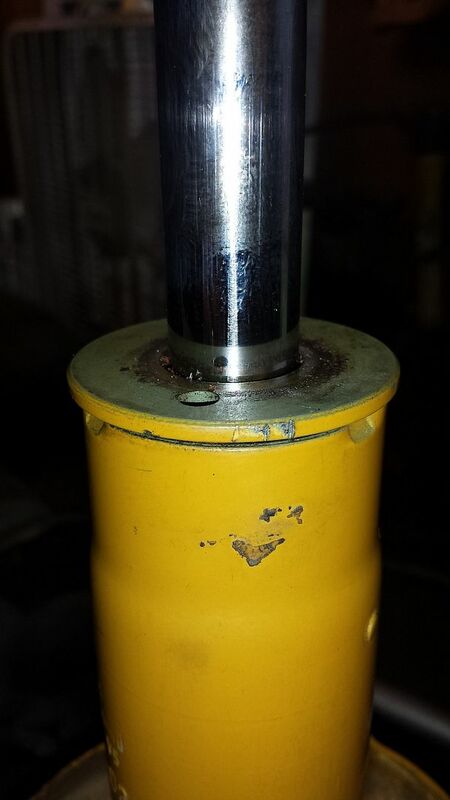 The OE Boge shocks still have some compression but zero rebound. The Konis go on nicely and I'm done on the rear. So the plan on the front was to pull the OE struts by using a floor jack on the control arm to compress the spring, pull out the OE shock insert and use the Koni inserts from the 951 struts. 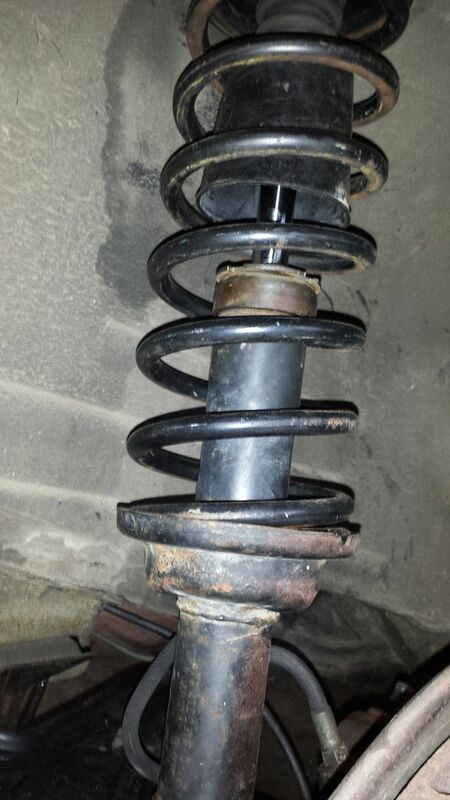 So I got the OE struts off and dis-assembled but needed to compress the spring on the 951 struts to take them apart. I just put the 951 top mount in the car and although the bracket won't fit on the spindle - I wedged the bottom of the strut on the control arm and used the jack to compress the spring. Worked fine and much quicker than spring compressors. But when I got the 951 strut tube to the bench I noticed that the cap on the tube has crimps and it appears that is a sealed strut. Crap! I'm disappointed but all is not lost. 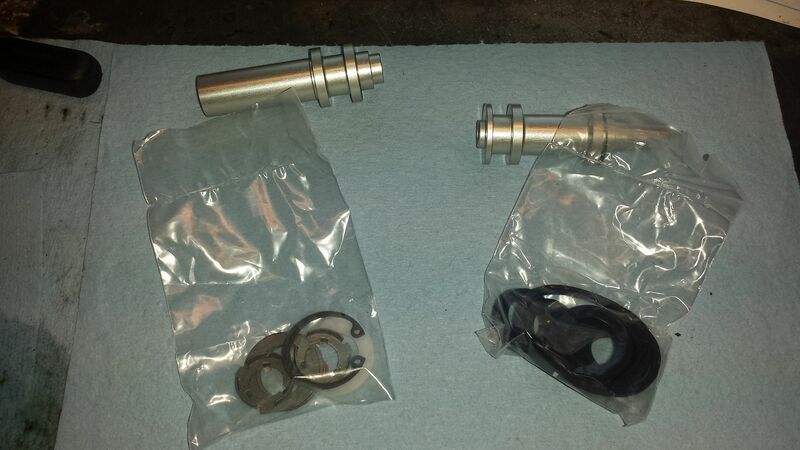 The Boge inserts have okay compression and the 951 springs are definitely heavier. So I cleaned up the 931 tubes, stuffed the OE Boge shocks back in and put the 951 springs on those struts. I also cleaned up the OE bump stops and dust covers and re-used those. And I used the 951 top mounts as those were in good condition. Noted that the OE springs were three blue marks and the 951 springs are two yellow marks. 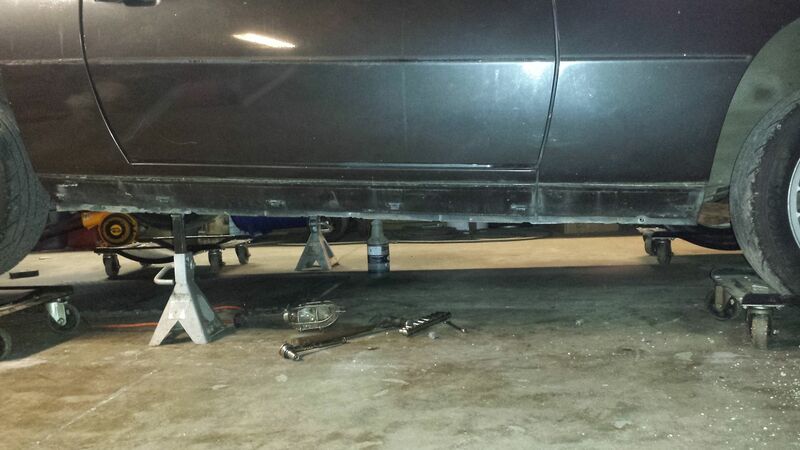 While putting the struts back on I went ahead a set camber full negative (probably about 1 degree). Today I removed the rocker covers for cleaning. I had noticed. 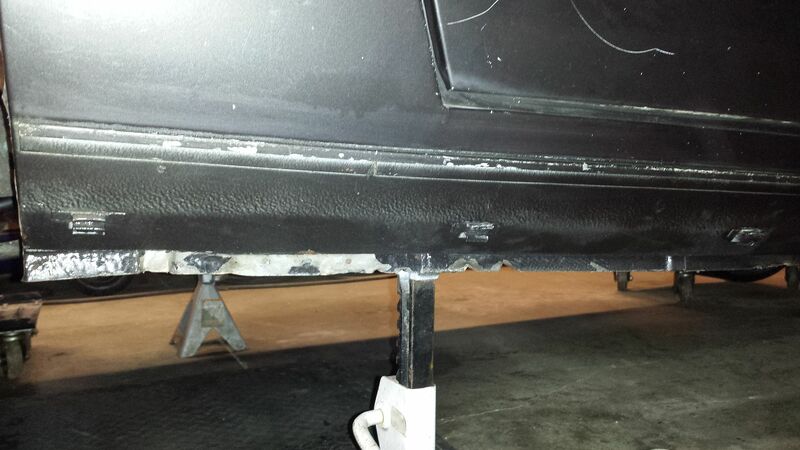 while working under the car, that the bottom of of the rockers were pretty bent up from poor jack and lift placement. That was definitely the case on the passenger side so I set about bending that sheet metal back in to shape with locking pliers. I also noticed that most of the paint on that bottom strip was flaking off and exposed metal. I decided to strip that section and prime it to prevent corrosion. That area was not primed very well and the finish coat was applied directly to the metal at the factory. They just didn't shoot the rockers at the correct angle. Thank goodness for galvanized metal though. Very little corrosion was present. When I moved to the drivers side there was some body work that had been done the the lower front fender just in back of the wheel opening. That's a prime spot for road objects to monkey things up. 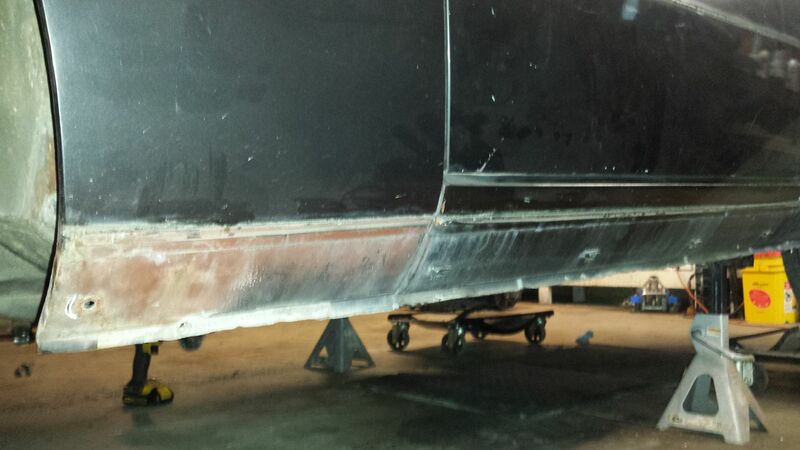 The fender had been bent back into shape and there was about 1/8" of body filler. It's odd that a shop would do that in an area that's hidden by the rocker cover. Anyway, I stripped that area of paint and filler. Also stripped the same lower area all the way back to the rear wheel opening. After cleaning and wiping both sides with a tack cloth, I masked those areas off and sprayed primer. Later we stopped by the 944 Orphanage and traded those 951 front shocks for some interior parts. 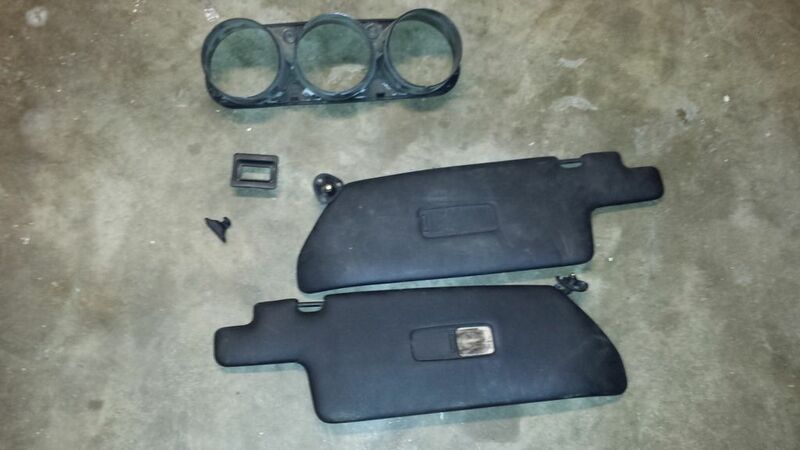 Late 944 sun visors, a visor clip, passenger window switch bezel and dash gauge bezel. The visors installed easily and look much better than the OE with swollen foam. The passenger visor clip was missing so I replaced that but unfortunately the drivers side clip broke so now I'll have to get another for that side. The OE gauge bezel was cracked under the speedo so I pulled the steering wheel, pried out the bezel, disconnected and removed the gauges. Now the replacement bezel was from a 944 so it had a silver face. I scruffed that with sandpaper and sprayed it with satin black. I also had to drill out the right side idiot light position because the early 944 doesn't have the light. I'm letting that paint cure overnight and I'll put the gauges back in tomorrow.